Ghanaian celebrity Blogger, Ameyaw Kissi Debrah and his beautiful wife walked down the aisle over the weekend. 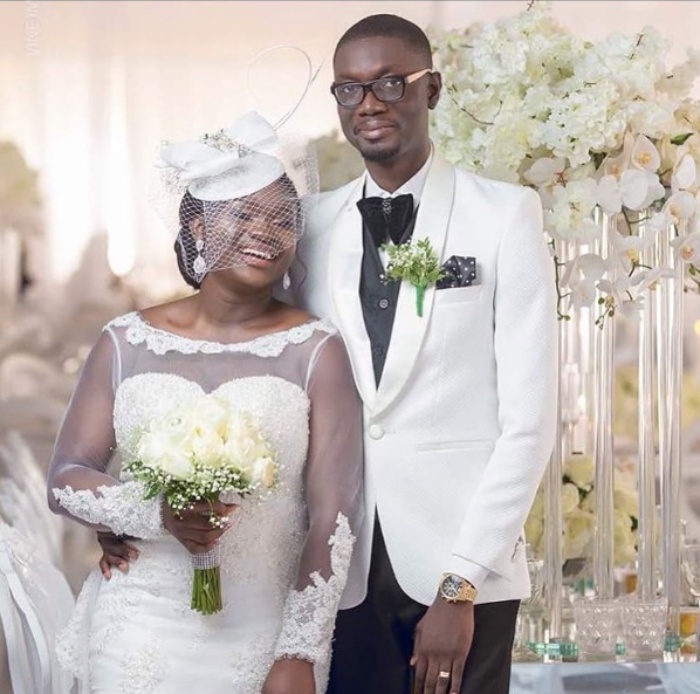 Following the couple’s traditional marriage ceremony which occurred on Tuesday, March 6th, Ameyaw Kissi Debrah and Elsie Darkoa Yobo had their “white” wedding ceremony on Saturday, March 10th, 2018. The ceremony was held at the Trade Fair Center in Accra, and was well attended by both the bride and groom’s friends and family. After they exchanged their vows, it was time for the couple to dance together for the first time as a couple. As it turned out, things didn’t go exactly as planned, and it appears that when the time came for the two lovebirds to take to the floor for the first dance the ceiling briefly caught on fire due to the fireworks. Bt Ameyaw and Elsie were unperturbed, as they would not allow anything to mar their special day.